MORRISANIA, Bronx (WABC) -- Thanksgiving came a little early tonight for dozens of families in the Bronx. 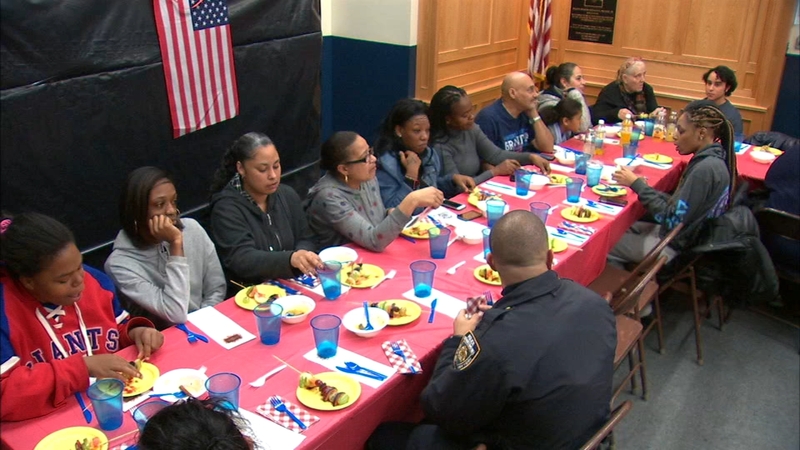 About 40 families were treated to a hot holiday meal thanks to the officers at the 42nd police precinct in the Morrisania section of the Bronx. A sergeant cooked the turkeys at his home and other officers helped serve the meal. All of the families who took part in the early Thanksgiving dinner live in the neighborhood.